These students won our ‘in-school’ competitions alongside Olive Aitken Gummer (Yr 5) and Lola McPhail (Yr 5) earning them a place in the inter-school competition. 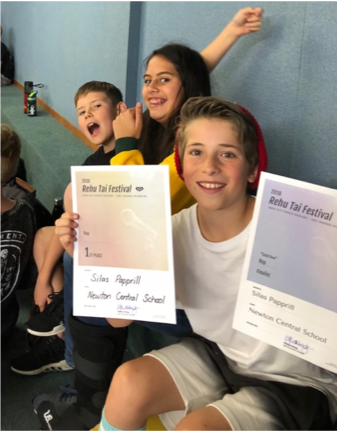 The level of competition amongst the 15 schools participating was extremely high and Mikki, Silas and Charles were outstanding ambassadors for our school. We are pleased to announce that Silas Papprill won 1st place in the Rap section! Well done Silas! Olive and Lola, went along as observers this year and are excited about representing the school strongly in 2019.